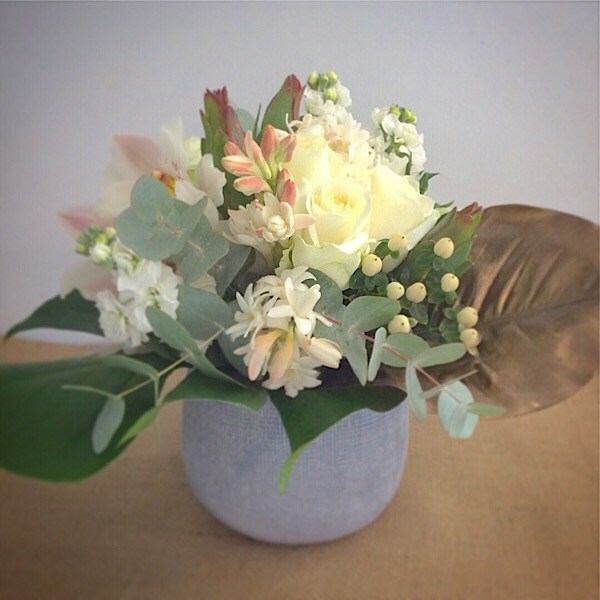 A beautiful 3/4 around arrangement in calming whites and greens. Expertly arranged by our florists in a ceramic pot. Ideal for sitting on a table or a sideboard. It sits approximately 30-35cm in height.